This is another of Gabi's murals. 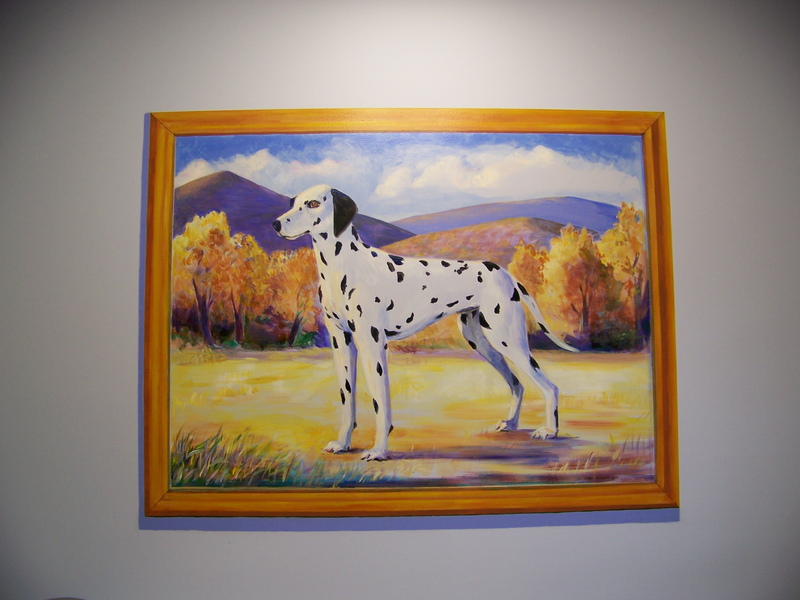 This dalmation is proudly displayed in the Dog Room. 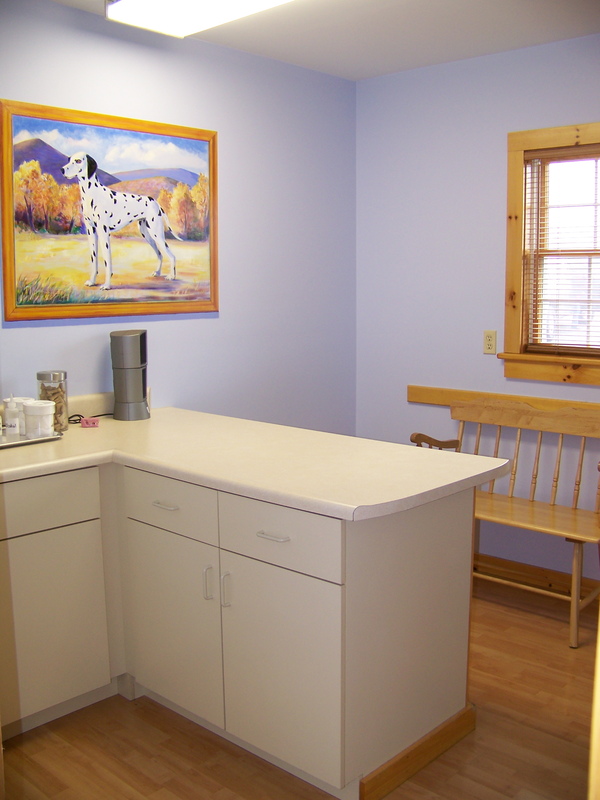 This framed picture is painted directly on the wall and clients are amazed at closer look that it is not a framed picture hanging on the wall.